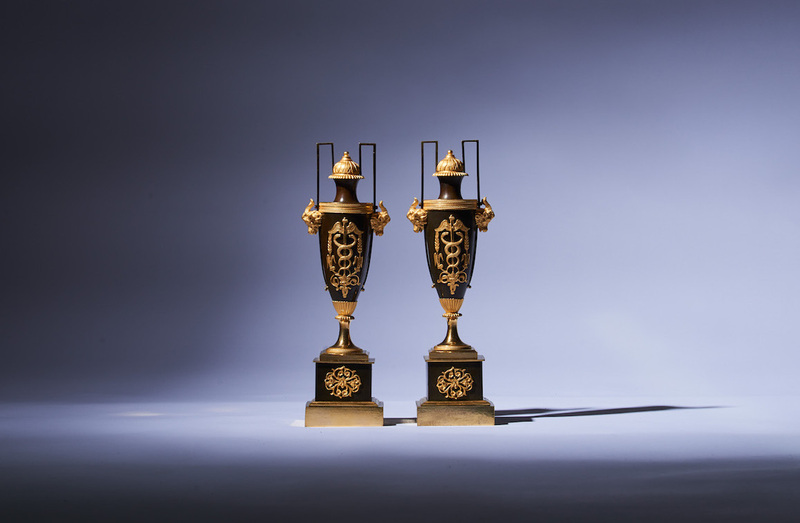 A pair of ormolu mounted bronze vases attributed to Claude Galle. 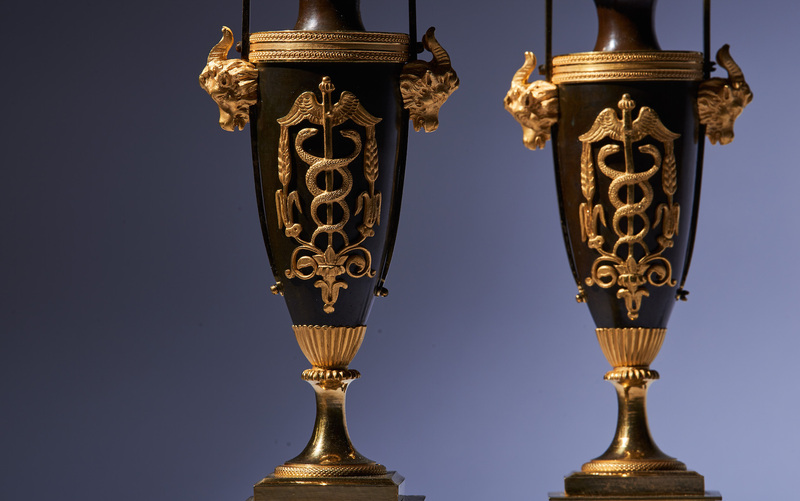 Each with rectilinear handles cast with rams heads on a vase shaped body, decorated with interlaced serpents, wings and grains in ormolu. Resting on a square flower decorated base.